High Peaks Pure Earth has translated another poem with the title “I Am Tibetan”. This poem was originally written in Chinese by a poet from Amdo called Adong Paldothar and was posted on Woeser’s blog on February 15, 2010 along with several other poems and a prose piece of the same title by various authors. 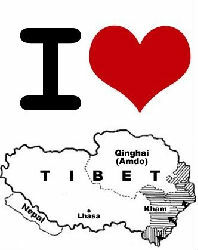 To read the prose piece “I am Tibetan” please see this previous posting. Very, very movingly written !! The writer is certainly highly educated and have immense knowledge of Tibetan history and culture. I salute you Adong ! Tse ring and Lamay kyab !!! It is just – Beautiful.